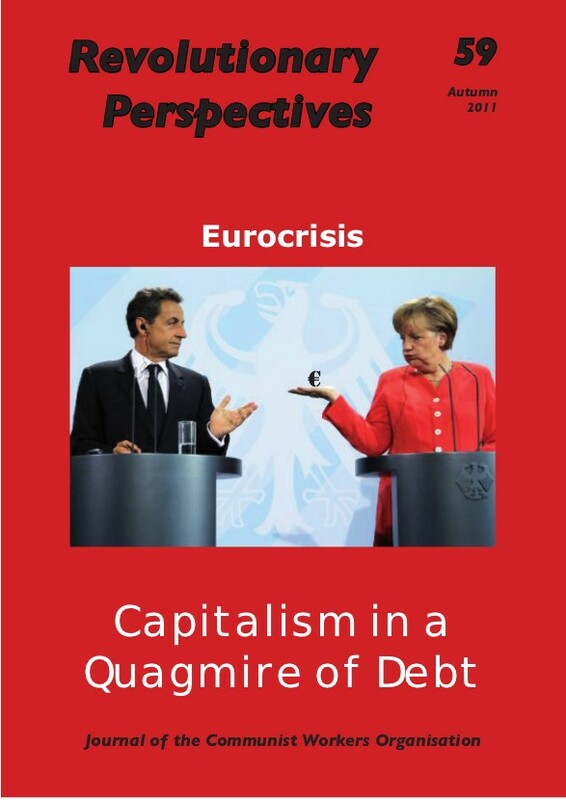 Greece is a lost cause (...) the task now is not to save Greece but to save the Eurozone (2). ...cutting wages and prices by the necessary amount within the Eurozone would risk pushing the country to the brink of civil war (3). The prospect of an uncontrolled Greek default would face the world with another financial meltdown on at least the scale of that which followed the collapse of Lehmans Bank in 2008. The spider web of financial connections of interbank loans, loan insurances against default, Credit Default Obligations and the rest would infect the global financial system; cause further bank failures and a complete credit freeze plunging the world into a greater depression. As we noted at the time of the first Greek bailout in May 2010, the EU is at a crossroads. It is faced with the choice of either going forwards to real economic federation or seeing the Euro collapse (4). This is a simple restatement of the position of those who argue for economic federation leading to political federation. While this view represents that of the most powerful sections of the capitalist class, and even Eurosceptics such as UK chancellor George Osborne (6) now advocate it, the signatories of the open letter obviously think that there is a chance it will not happen. There are, for example, sections of the German bourgeoisie who realise such a move would entail transferring Germany’s balance of payments surplus to the common treasury and using it to fund the debts of the peripheral countries. The fear is that events may slip out of control and the markets may force a default on Greece while the Eurozone leaders dither. The consequences of an uncontrolled Greek default through market pressure have been spelt out loud and clear in the financial press. Greek sovereign debt would become valueless. There would be a run on Greek banks which would no longer receive funding from the European Central Bank (ECB) which would probably lead to the collapse of Greek banks and breakdown of payment systems in Greece. Greece would have to leave the Euro and the EU. A study by the Swiss Bank UBS (7) estimates there would be a contraction of 40 to 50% in the GDP in the first year after leaving the Euro. Contagion would follow with runs on other distressed sovereign debt of weaker countries such as Portugal, Spain and Italy. This would then spread globally through the network of loans and reciprocal agreements between banks. US banks, for example, have invested €487bn in Greece, Ireland, Portugal, Spain and Italy. 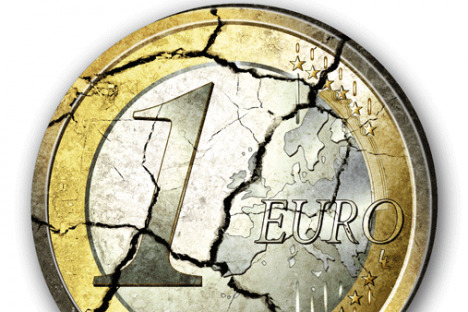 If the Euro were to collapse the effects on Germany itself would be dramatic. The common currency is estimated to save Germany €10bn in foreign exchange charges annually and half of its €80bn trade surplus is with the Eurozone. The UBS report, mentioned above, calculates that Germany’s economy would shrink by 20 to 25% in the first year following the collapse of the Eurozone. For the leaders of the Eurozone the question is how to move forward with fiscal integration when the necessary treaties and political structures are not in place. The plan at present appears to use the European Financial Stability Facility (EFSF). This fund, which was created at the time of the first Greek bailout, has had its powers amended by an agreement of Eurozone ministers on 21st July and this amendment has now been approved by the 17 Eurozone parliaments. This agreement allows the fund to buy sovereign debt on the open market, to recapitalise banks and to give pre-emptive credit to governments it perceives at risk. The EFSF would then have authority to supervise the economies and budgets of debtors and Eurozone members in the way the Greek, Portuguese and Irish economies are now supervised. The fund is therefore becoming a proto-treasury of the Eurozone. However, the situation has got far worse since the July agreement which now appears as too little too late. The EFSF is insufficiently funded since the €440bn available to it is too small to deal with distress of a major country such as Spain or Italy and to provide bank bailouts. If more funds are provided by Germany and France their own budget obligations would be put under pressure and they could lose their AAA credit rating making their debt payments much greater. The alternatives under consideration appear to be either to "leverage" the fund, I.e. use it to guarantee only a portion of debt with an obligation if payment was not made (8), or to use it to insure a country’s debts i.e. convert it into an insurance agency, or simply to turn the fund into a bank and allow it to borrow from the ECB. It appears that Greece is now going to be allowed to default within the Eurozone and its bondholders are to be forced to accept a 50% loss on their holdings instead of the 21% agreed in July. Somehow this will have to be presented as a voluntary debt write off if all the consequences of debt default are to be avoided. How this is to be achieved if the banks and bondholders disagree and how all the results of default, particularly debt insurance contracts, the use of Greek bonds as collateral at the ECB etc. is not clear. What is clear, however, is that this 50% loss will push many European banks to the brink of bankruptcy. It now appears according to analysts at banks and independent research houses that European banks need between €100bn and €450bn to cater for bad loans. In addition the IMF calculates that nearly half of the €6500bn stock of government debt issued in the euro area is showing signs of risk (9). Under these circumstances it is hardly surprising to learn that yet another massive bank bailout is being prepared. The entire financial architecture of the Eurozone is now being changed under pressure of events. Although it is not possible to predict precisely what the outlines of the new structure will be it is almost certain that the general interests of European capital will prevail. If the Eurozone were a single economy its fiscal position would be much better than US, Japan or UK and its borrowing costs would be reduced. It seems likely, therefore, that the stumbling towards economic integration will continue one way or another. Some general observations are, however, worth making. The first is that the greater economic integration of the Eurozone will strengthen Germany’s position as the controlling force of the bloc. The euro will be strengthened and its challenge to the dollar increased. The result will be a strengthening of the EU as a pole of imperialism opposing the US. The second is that changes underway are moving the problem of sovereign debt from the nation state to the supra state organisations. The problems of the weaker nations are becoming the problems of all. In the initial phase of this crisis the bankruptcy of the banks was transferred to the nation state via state bailouts from the national treasuries, for example in the US, UK, Ireland and elsewhere. Now the bankruptcy of the sovereign states is being transferred to the financial organisations of the bloc of states, i.e. the EU, and the intra-state organisations such as the IMF. Will these measures solve the crisis? We contend that they do not address the causes of the crisis; they deal only with its effects. Hence, at best, these measures will provide only temporary relief and the ensuing crisis when these intra state organisations fall into difficulty will be even more devastating. The capitalist class mistake the effects of the crisis for its causes. The effects are manifold consequently they are divided over what to do. On the one hand they think eliminating debt by balancing budgets is the solution, on the other they think stimulating demand by printing money is necessary. Some governments, like the UK, think they should do both at once! All agree that growth should be stimulated, though how fiscal austerity can achieve this is not explained. In the present crisis there is no longer any talk about the famous market mechanisms which were supposed to regulate the capitalist system and correct all its imbalances. Instead we now hear of the need for regulation of the economy through state action, and regulation of the international organisations like the banks by international agreement etc. It is clear we are confronted with a mass of contradictions which serve only to illustrate the complete bankruptcy of bourgeois economic theory. The Marxist critique of capitalism has always attempted to relate the phenomenal world of capitalist crises to the underlying social relations of production. In this analysis crises spring from the contradictions of capitalist production relations, and can be traced back to the problems of the exploitation of wage labour. The problems are therefore systemic. We argue, and have explained in numerous texts, that the present crisis is an expression of the tendency of the average rate of profit to fall caused by the tendency of the organic composition of capital to rise. This is a secular tendency and in the longer term can only be countered by the devaluation of constant capital. Today there is little investment in industry. Corporations, companies and banks are holding masses of cash on their books rather than investing it. The global cash pool is now between $2000bn and $4000bn whereas 20 years ago it was $100bn (10). The reason for this is reduced profitability of industrial capital. Similarly banks invested in Residential Mortgage Backed Securities because the rate of return on industrial capital was low and speculation on subprime mortgages appeared more profitable. Banks and finance houses also speculated in other assets such as commodities, equities, commercial property and so on, because their value rose as more money came into the particular market. This appeared to provide them with profits when they sold these assets. However, the production of surplus value, which forms the basis of capitalist profit, is only produced by the exploitation of labour power, that is, the exploitation of workers in the process of production. Only investment of capital in commodity production is able to produce new value and increase profits. Speculation does not produce any new value and the collapse of speculative bubbles, such as the mortgage market which precipitated the 2008 crash, is a confirmation of this. Banks, of course, operate on a global level and their operations enable them to siphon off surplus value from all round the world. This gives them the appearance of creators of profit whereas, in fact, they are appropriators and distributors of profit. They also receive profits from sovereign bonds. A proportion of the portfolios of banks, finance houses, pension funds etc. are always invested in government bonds, which although providing a lower interest rate, are considered absolutely safe. The sovereign debts, which are now in question, only pay interest because the state is able to tax the profits produced by industrial capital and pass these profits on to the bondholders. The interest represents a deduction from the profits of industrial capital and consequently when the average rate of profit falls it is more difficult for the state to get hold of the profits to pay its bondholders. The weaker states with the less profitable industries have proved less able to gather taxes and honour their debts. The decline in the profit rate is thus at the root of both the sub-prime mortgage disaster and the sovereign debt crisis. This is, however, a problem of the global capitalist system as a whole even though it affects some countries worse than others and it can thus only be solved on a global level. The solution to the problem from the viewpoint of capital is to restore an acceptable rate of profit. Under the present circumstances we argue that this can only be done by a massive write down of capital values. Such a destruction of capital values was the solution to the depression of the 1930s, and, as we know, this was achieved by 6 years of global war in which nearly all production was waste production, namely armaments, and capital accumulation virtually stopped. Capitalism survived only by cannibalising itself and destroying much of the value it had created since the start of the 20th century. Investors are trying to find pockets of safety in a world where the financial system appears to be slowly crumbling. (...) The totality of financial claims is now too big to be supported by the new economic reality. In this world of economic permafrost, someone somewhere will have to accept losses (11). However, for the majority of the bourgeoisie the solution to the present crisis appears to be to impose austerity on the working class. Imposing austerity on the working class is equivalent to taking a section of the social product which falls to the working class and passing it to the capitalist class. Put in a different way it is imposing a higher rate of exploitation on the working class. Under the current structure of global capitalism these measures will be insufficient to restore adequate profit rates. At present these measures are clearly not working in Greece despite their Draconian nature. An increase in VAT to 23%. This includes food. A 2.5% of income "solidarity tax"
The Financial Times estimates that average Greek households will see a fall in income of 14% in 2011 (12). Despite all this the Greek government deficit increased by 22% between January and August this year. Not surprisingly the economy shrank by 5.5% and unemployment rose to 15.8% overall while youth unemployment rose to 40%. The result is that the Greek debt is increasing and more bailout funds will be needed. Austerity is resulting in precisely the opposite of what was intended. What is being attempted is the restoration of profit rates by restructuring the economy and squeezing the working class. 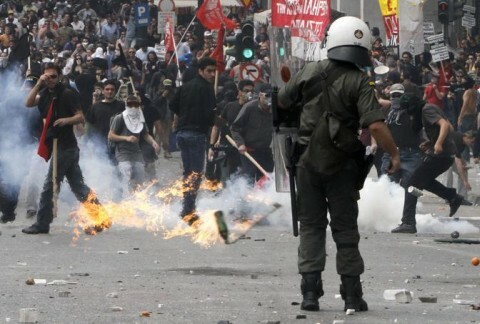 The Greek working class has responded with a rash of strikes and one (recently upped to two!) day general strikes, none of which have so far deflected the so called "socialist" government from carrying out the instructions of the Troika. A concrete stand has got to be taken against the perversity of a system which manages to produce only greater penury for the many and ever more wealth for the few. Unless there is a struggle against capitalism itself wage slavery will continue to be the condition for the iniquitous distribution of wealth. This presupposes that the struggles to come will escape more and more from the framework of the system, from the overwhelming role of the unions which aim to contain them and when they do organise them, drain them of every ounce of real protest and intolerance of a society which is now capable of producing only increased poverty and unemployment, economic crisis, wars and social and environmental devastation. What is also needed is that the struggles regain a sense of a social alternative: the possibility of a world where the production and distribution of wealth no longer depend on the capitalist logic of profit but on the needs of those who do the work and produce the wealth. What is needed too is the presence of a class party calling for demands opposed to capitalism itself and capable of channelling the struggle towards these objectives (13). (1) See RP 54 "Financial crisis engulfs the Eurozone" Austerity measures will lead to deflation contraction of the economy, high unemployment and a further inability of Greece to pay its debts. This is likely to lead to a Greek default in the end. (3) See Financial Times 21.9/11 “Marked by a miracle”. 4 See RP 54 “Financial crisis engulfs the Eurozone”. (6) See Financial Times 21/7/11. Completely reversing Tory policy Osborne calls for fiscal union, Eurobonds and a two speed Europe. (7) Quoted in FT 21/9/11 "Breaking up is hard to do". points to the deep instability not only within Greece but also how what happens in Greece impacts on the global economy. The Greek Prime Minister has decided in a pathetic attempt to defuse the growing heroic struggle by Greek workers against the austerity cuts to hold a referendum on the latest proposals. The news has led to a sharp fall in the stock exchanges around the world and has led in Greece to calls from within the socialist party for Papandreou resignation. What is obvious is that the current crisis will not be solved by previous measures taken by post war capitalist governments and may in fact deepen and result in an even deeper crisis than the 1930's. The reality is that this could easily occur in a relatively short space of time and then all of the measures taken by the left of capital to solve the crisis will prove totaly useless. It's in this situation that what we do today where ever we are at as left communists will be rewarded. What the capitalists fear is that the growing poverty, unemployment, precarious employment will force workers to turn to a Marxist alternative which hopefully we will be a part of. "What the capitalists fear is that the growing poverty, unemployment, precarious employment will force workers to turn to a Marxist alternative which hopefully we will be a part of" says Dave. I hope that what the capitalists' fear comes true, but remain unconvinced as yet. But that Dave will be a part of that alternative, should it materialize, I truly believe! Thanks Charlie I hope that you are right and that I will be an active part of the working class when we collectively begin our struggle against capitalist exploitation which will be free from the paralysing influence of both the trade unions as organisations as well as the Labour Party. 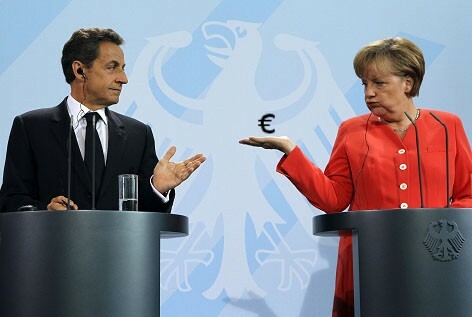 What is certaiin the bourgeoise is unable to find an easy route away from what is becoming known as the eurozone crisis. Today the 06/11/11 there is the news that the instability is now impacting upon Italy, which looks as it will go the way of Greece. When that does occur then watch the left of capital scamble into some sort of national government in a pathetic attempt to shore up the decrepit capitalist edifice. In the meantime all of us can play a part in building a revolutionary minority within the class. Every discussion you have with a work colleague which emphasise the importance of building class wide struggles free of the paralysing effect of union influence helps to lay the foundation of a revolutionary organisation of the future. Every argument against the nationalist poisen helps to strengthen the revolutionary minority within the class, every paper you distribute, every pamphlet sole all aids in strengtheniing the class in our fight for a communist world. So your right Charlie but I also hope that you, me and millions of others can at last end the capitalist nightmare and put the horrors of the eurozone instability in the history books where it well and truly belongs. Remember that workers united can never be defeated! The html is a mess and should be re-done, hard to read, hard to know what is quotation and what is not. Just also signed in as anonymous and found the quotes are all in orange (with big quote marks), subtitles in green and bodytext is in black and white so I don't understand your criticism. The problem was not the html but that one of the pictures had displaced text to the wrong paragraph. Now hopefully sorted!